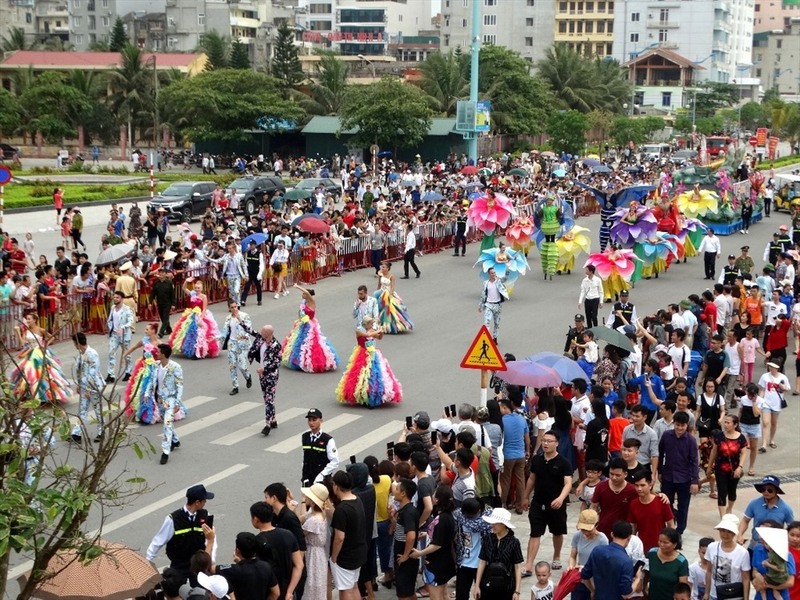 A street carnival was held to open the Sam Son Sea Festival 2019, drawing in thousands of local people and tourists who came to enjoy the events in Thanh Hoa province. 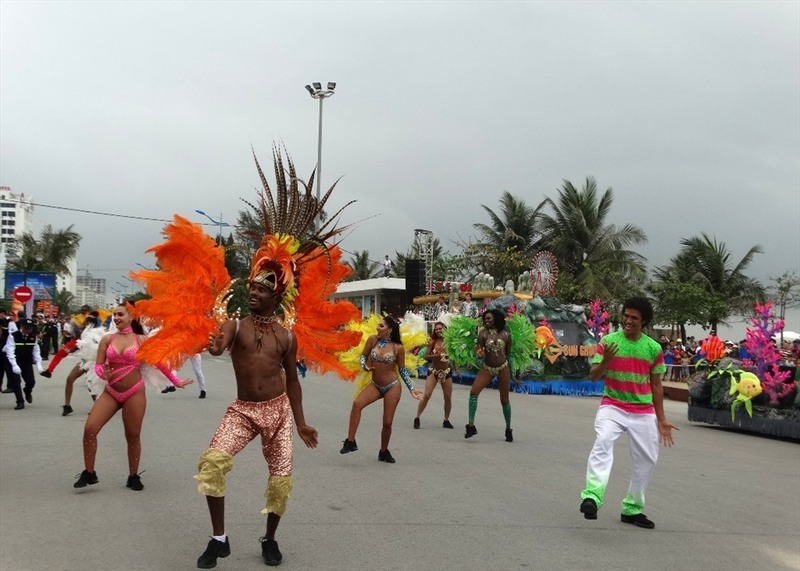 The street carnival has been organised by Sun Group for the first time. 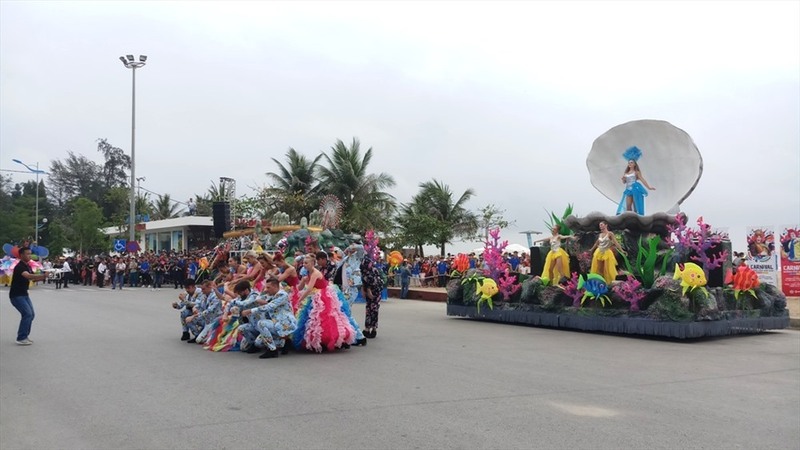 The event took place as part of the Sam Son Sea Festival 2019 and aims to mark the beginning of the tourist season in Thanh Hoa province. 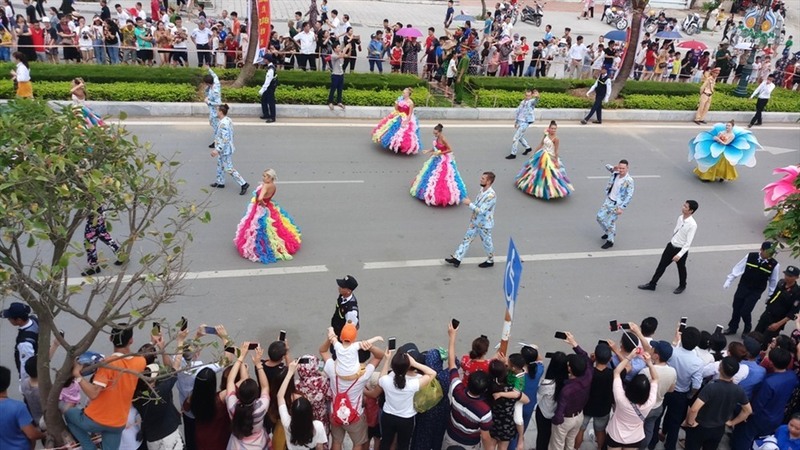 The parade took place between 9:30 am and 11:30 am in the morning and was repeated from 16:00 to 18:00 in the afternoon on April 13. 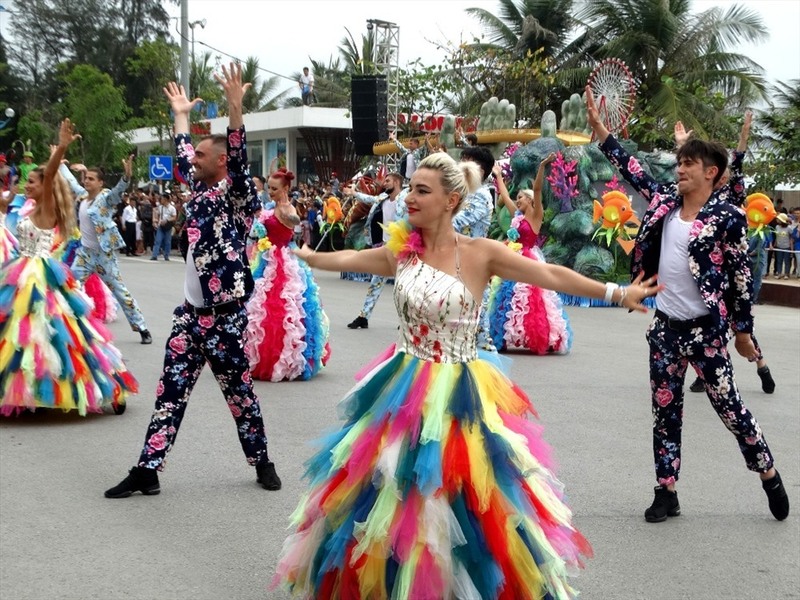 A troupe of European dancers from Sun World Ba Na Hills definitely served to liven up the event, bringing with them a range of unique dance routines. 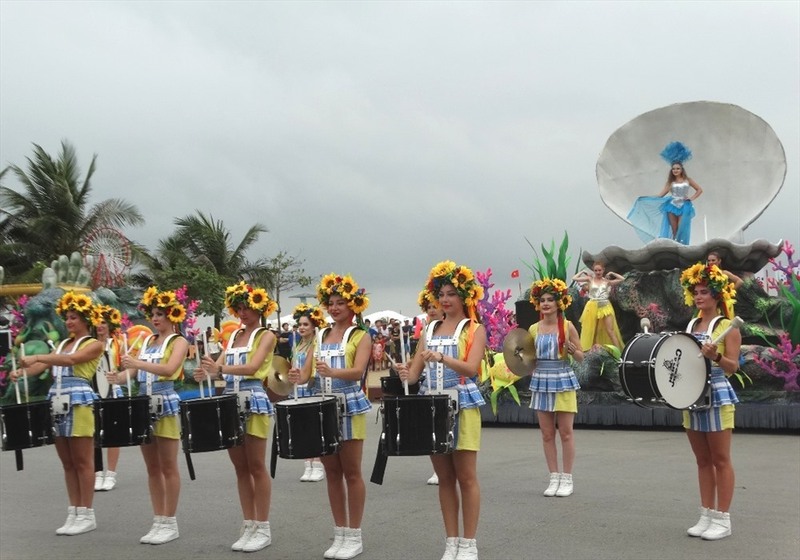 Residents and visitors enjoyed two floats during the parade which were beautifully decorated with flowers. 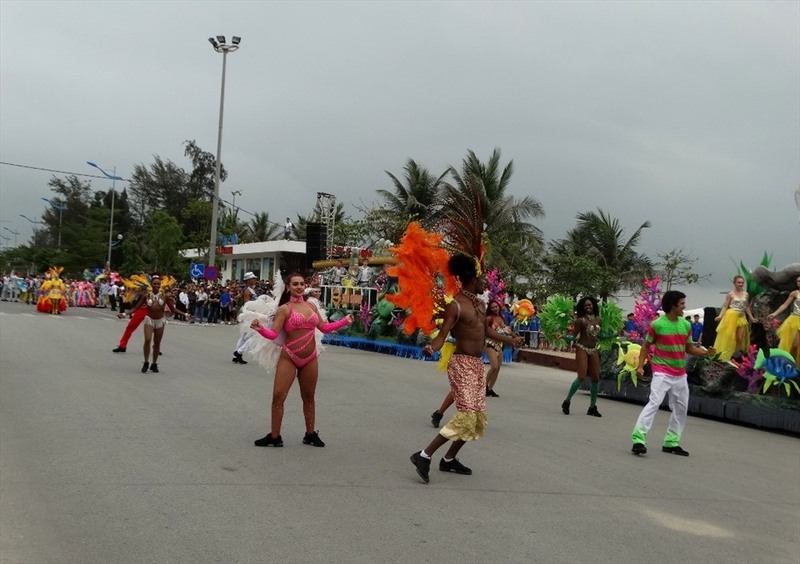 Over 70 artists were carried on them, wearing colourful outfits, dancing, and encouraging tourists to dance with them. 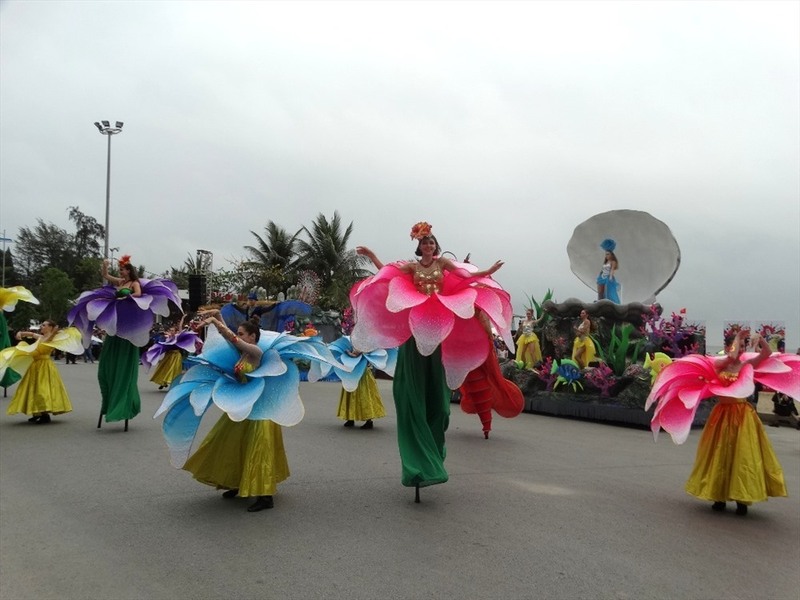 The parade stopped to perform on stages at three locations, including Hai Ba Trung-Xuan Huong lake, Le Thanh Tong-Xuan Huong lake, and the Tay Son-Xuan Huong lake t-junction. Visitors showed their delight at witnessing such a vibrant performance. 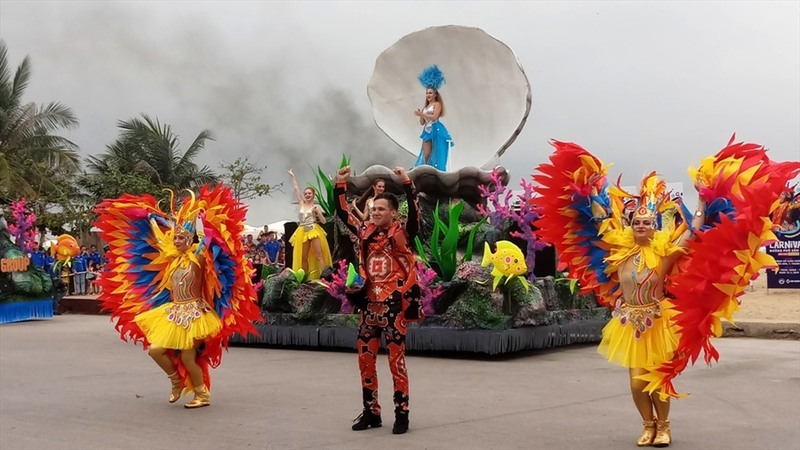 Akshay Kumar from India said that this is the first time he has seen such an attractive street carnival, noting that artists look so beautiful that he can’t stop dancing with them. 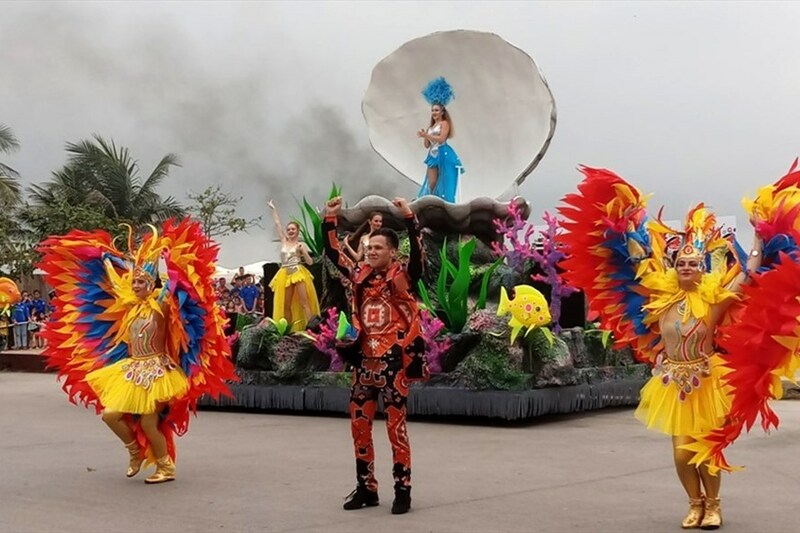 With a range of unique dances such as the fire dance and drum dance on display, artists were able to turn Xuan Huong Lake street into one large stage. The audience gave them a constant round of applause. 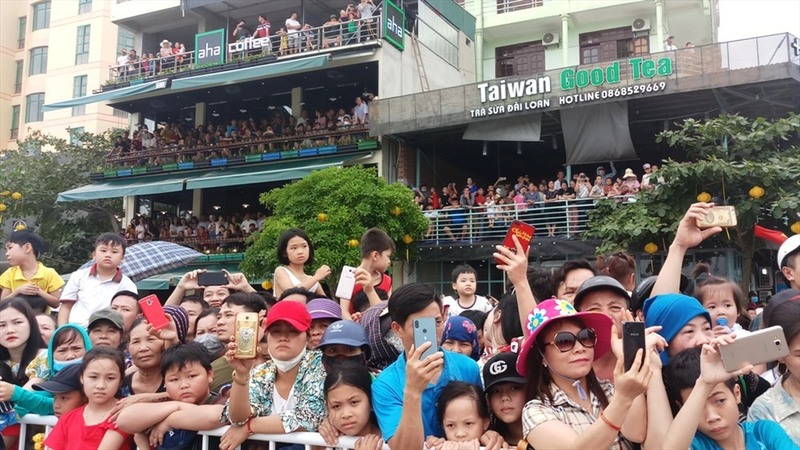 Local people and tourists gathered together on the pavements on Xuan Huong Lake street, whilst some chose to watch from high-buildings close by to enjoy the festivities and to record images. 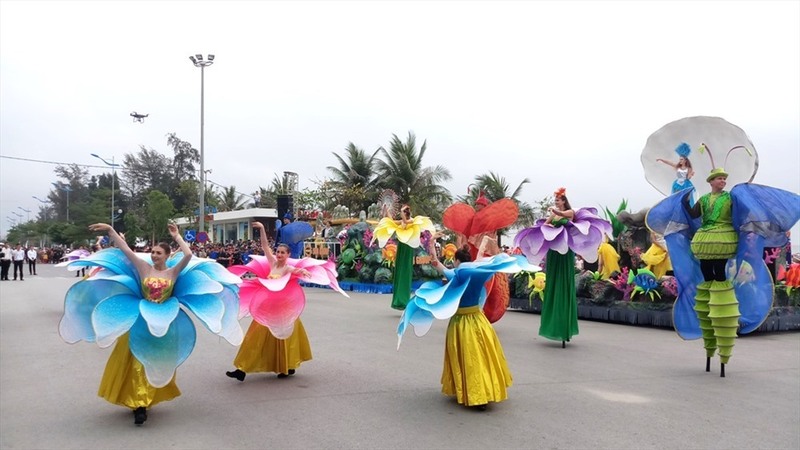 The Sam Son Sea Festival 2019 originally opened on April 13, with the opening day featuring special art performances by famous singers Noo Phuoc Thinh, Phuong Linh, Phong Windy, and band Oplus. 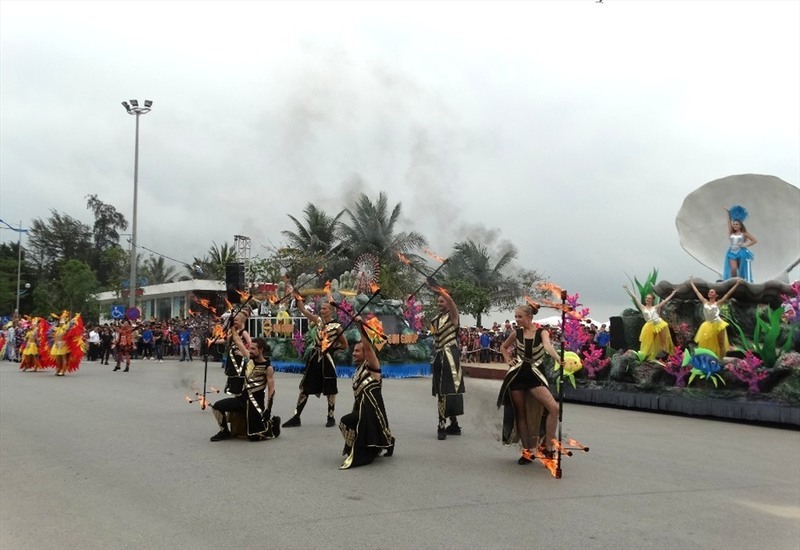 Apart from the street carnival, a wide range of culture and sporting activities took place as part of the festival.